Thank you for your recent visit to our salon. We truly value you as a customer and really appreciate your business, support and feedback. 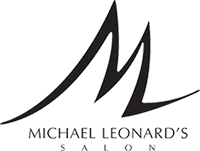 Here at Michael Leonard’s our goal is to provide the very best service and we are always looking for ways to improve. We are looking to gain feedback on our service so that we can enhance your experience and make each and every one of our customers happy. We would be incredibly grateful if you could take a couple of minutes to write a quick review for us. This will allow us to improve our service and let others recognize the value we provide.